← Del Boy and Rodney – eat your heart out! The latin motto of the Isle of Man translates to – whichever way you throw it, it will stand. 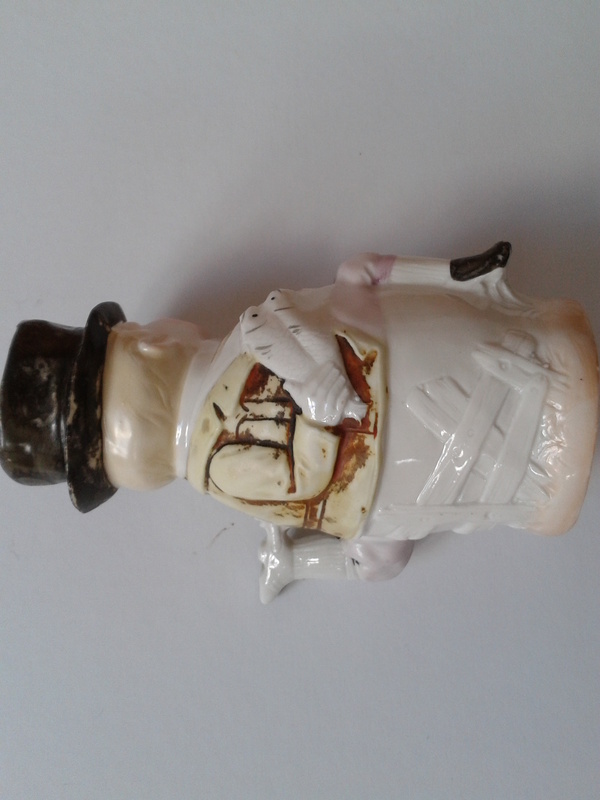 But best not to throw this little toby jug, as it is made of bisque and wouldn’t be very happy. It’s a very unusual object featuring the Manx man and cat and to the other side a brace of herring, alluding to the national dish of Spuds and Herrin. Mmmmm. A lovely object, rare Victorian, Staffordshire.